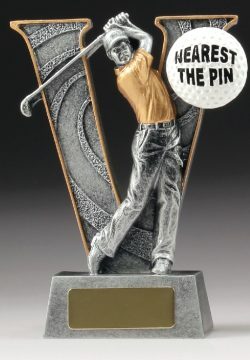 V-Series trophies depict realistic golfer mid-swing against stylish background finished in antique silver and gold highlights. The generic version of the trophy series useful for variety of award purposes for your event or tournament. 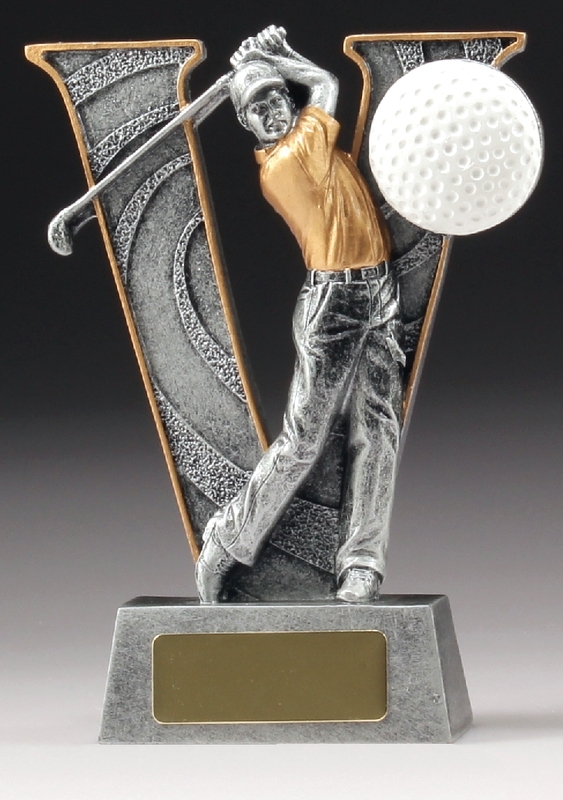 View full range of Golf trophies, awards and medals to complete your selection.